Social media is very important in every aspect because it has become a huge means of communication. There are many people who are too eager to see what notification they have got on their phone but many find it too distracting and troublesome. On the other hand, social media in the workplace is a boon for faster communication which increases the efficiency in achieving smooth performance in the business. Social media may be problematic for some but for most of the people it has been a great help because their productivity and outcome has increased greatly. Social media has also helped the employees and the top management to come closer and build relationships in and out of the company premises. The following are the pros and cons of using social media in the workplace which will help you in getting a much deeper meaning as to why it is important and disadvantage at the same time. Engagement of the employees with the upper management is very important as it increases the free flow of communication from one person to another. Through social media the top management can hear the views and opinions of the employee which will eradicate the problem of feeling that the voices aren’t heard of the employees. Communication is the key to a successful management and thus social media can help in improving the communication aspect in a company. The employees who work are in need of compliments and motivation to balance their work effectively. Social media can help them in acquiring a lot of knowledge and can teach them conventional ways of practicing multitasking. For the work they have done, they need to know how much progress they have made in productivity and they also need compliments so that they get motivated to do more. The data of the company can be analysed by social media by knowing the new company trends that will increase the employee productivity. There are many training sessions being conducted to improve the skills and ability of the employees to contribute much better. Through social media, you can find effective leaders that aren’t so noticeable in your department. Social media will help in analysing and making plans and goals according to that information and the company can work efficiently. There are so many companies that aren’t noticeable and not known in their industry which hampers the growth of the company. In this generation, people are so hooked up on social media that without it they won’t know anything about anyone. If you want to make other people know about your company, then promoting your company on social media is the best and effective way. Some employees don’t have any idea what work ethics even mean. Social media helps all the newcomers in the business world to know all the terms and work ethics of the company. Social media does at least half the work of the company by just listing necessary information about how the company works and how the employee has to evolve in given conditions. There are many companies who have shut down due to lack of co-operation between employees. Thus social media can help in spreading awareness about work ethics. Many companies spend a lot of money in training the employees but now there are other ways of training employees which are cost effective. There are many online training sessions that talk about various aspects of the workplace. There is also training available on the technical basis. Social media will help in making cost-effective training to the employees where they can learn better and at the same time, the company will not have to spend a lot of money. A company can establish their own unique identity by connecting with customers via social media. There are many brands that have been established just because of heavy advertising and social media. Advertising is the costliest way of connecting with the customers but social media is cheap and at the same time it is very effective. You have to be available on social media almost every day by posting pictures, posts, videos and many more to create your brand. There are many networks such as LinkedIn that helps employees to connect with different kind of professionals and successful businessmen or entrepreneurs. When employees follow them they learn a lot of things which would increase their work ethics. Such apps not only help people come closer but it also gives the training to develop skills and abilities in technical aspects and other aspects of the business. Employees learning new things are an advantage for the company. Traditional modes of hiring an employee take a lot of time and effort and it isn’t an easy thing to do. Social media helps in improving and making quick decisions while selecting the candidate. When the employees update their skills and experience on LinkedIn or any other app, it helps the recruiter to know if that employee is the preferred candidate for the job. So when an employee is on social media it helps in learning a lot about the employee as an individual. Investing your time and money on social media is the most cost-effective investment any company makes because it is cheap and very effective. Many companies spend a lot of money on costly methods such as advertising and many more. But social media has made it easier for the employees to connect and learn easier methods which increase productivity and also spreads the awareness about their brand. Many companies have chosen social media to increase their customers and at the same time increase the employee engagement. Companies are trying to target customers on social media because it is easier, cheaper and it also increases the productivity. Online marketing has made a lot of things easier and hence company considers social media to target their customers using marketing strategy. Social media is the major distraction for the employees to focus on their work. Facebook, whatsapp, tumblr, pinterest and many more are the major distraction for the employees that shift their focus from the work. There are many people that have been caught on playing games or viewing Facebook in the workplace which is wrong. Using social media in excess can slow down the productivity and efficiency in the organization which can bring loss to the company. Using social media in the company premises is a boon and at the same it is also a great disadvantage because if you are using social media then you will be using internet. A lot of people steal confidential information of the business so there is increase in the number of hackers and spam. Cyber Security helps in eradication all this problem which may affect the company. When the employees are using social media you have to state new policies and rules so that there is no wastage of time and compromising with company confidential information. Thus the manager have to make sure that they provide and transform their rules and regulation so that they can effectively improve transparency and decrease all the bad effects of using social media. Facebook, Whatsapp, Tumblr, Youtube and many such social websites can create a lot of distraction if used other than the office use purpose. There have been certain percentages going up of wastage of time and less productivity because of social media. It is also difficult to keep on seeing what employees are doing or on how much time they are spending on social media. When the employees use the office computer and laptops they download stuff which are fully loaded with viruses. At the end the person who is using the social media is not in any risk but the company’s system can be at huge risk if the virus is too big. 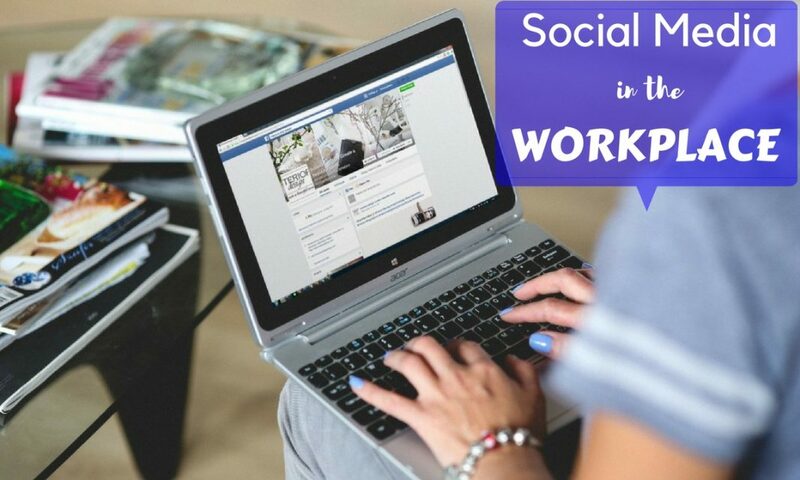 Thus social media usage in the office can be pretty risky because it can lead the company to a risk where they have to spend money on repairing and removing the viruses from the computer. There are very few people who are very great at handling social media but there are some who don’t know much so if they are given the responsibility of handling the social media of the company there is a lot of risk involved. There have been some mistakes done by the people who don’t have much experience or knowledge on how to handle social media websites. Such mistakes have led to a lot of controversy and companies have gone through a lot of loss because of this. Many companies have been hacked by their competitors or even people who have personal grudges so social media is the surface where the company can be targeted a lot. There have been people who have brought the reputation of the company down by sending wrong accusation about the business transaction or the policies. In Social media a lot of misunderstanding can be created if people didn’t understand the news or any new update of the company. For Example take the controversy between snapchat and snapdeal. When Snapchat said in the interview that they won’t be targeting India because it is a poor country. People misunderstood and thought it was Snapdeal who gave such comments. So they started uninstalling Snapdeal thus creating a loss for the Snapdeal company. Social media has those kind of people who have good skill and knowledge, but at the same time it has some bad people who created a lot of havoc and chaos due to their behavior on internet. Statistics reveal that many employees are targeted by the protestors and have been harassed and bullied on social media which have lead people to take bad decisions such as suicide. There is misleading information about the product or service that can be posted by the competitors or the protestors which can create a loss for the business. Being too much in the controversy is good and also bad for the company depending on what type of controversy it is. Misleading information affects the overall growth of the company because it will take time to educate people about what is right and wrong. Social Media is a boon and at the same time, it has a lot of risk also. This would depend on how the company handles the problem. The company should be very particular about the usage of social media as it targets huge number of potential customer. Social media can be a revelation in the workplace if it is used properly and efficiently without any distractions to the individual. It is obvious that social media has been a boon to make the life of the individual easy and dynamic but at the same time it can bring negativity in the life of the individual or the company. Any unnecessary usage of social media can reduce the efficiency of the work and the potential of the employee. Social media gadgets should be used only for work related purposes other than personal benefits. Hence it is important to link the using of social media in the workplace in proper manner for the benefit of the organization. If social media is used to the highest potential then it helps in the overall growth of the company.